MONDAY, March 18, 2019 (HealthDay News) — Higher consumption of dietary cholesterol, including eggs, is significantly associated with a higher risk for incident cardiovascular disease (CVD) and all-cause mortality, according to a study published in the March 19 issue of the Journal of the American Medical Association. This cardiovascular medicine theme issue was released early to coincide with the annual meeting of the American College of Cardiology, held from March 16 to 18 in New Orleans. Victor W. Zhong, Ph.D., from the Northwestern University Feinberg School of Medicine in Chicago, and colleagues used data pooled from six prospective U.S. cohorts (March 25, 1985, to Aug. 31, 2016) to evaluate the associations of dietary cholesterol or egg consumption with incident CVD and all-cause mortality. A total of 29,615 participants (mean age, 51.6 years at baseline; 44.9 percent men and 31.1 percent black) were included in the analysis. During a median 17.5 years of follow-up, the researchers found 5,400 incident CVD events and 6,132 all-cause deaths. For each additional 300 mg of dietary cholesterol consumed per day, there was a significantly higher risk for incident CVD (adjusted hazard ratio [aHR], 1.17; adjusted absolute risk difference [aARD], 3.24 percent) and all-cause mortality (aHR, 1.18; aARD, 4.43 percent). 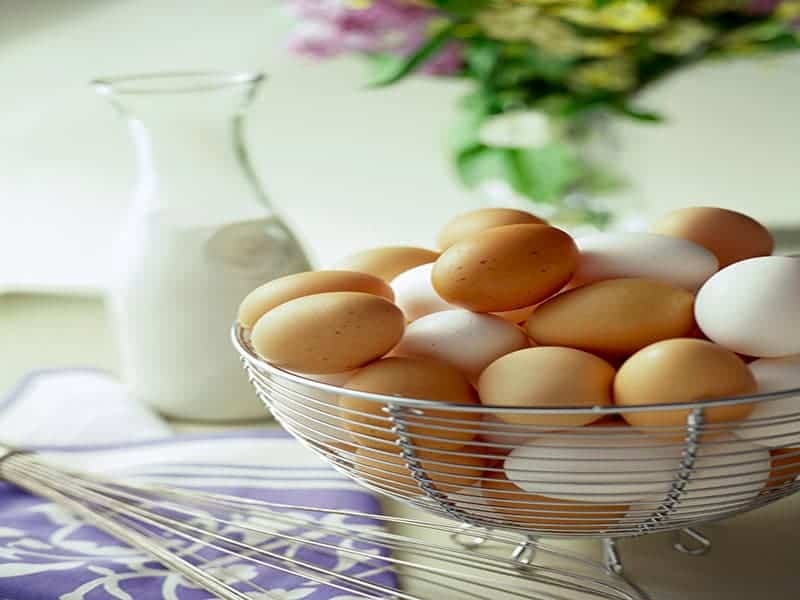 Furthermore, for each additional half an egg consumed per day, there was a significantly higher risk for incident CVD (aHR, 1.06; aARD, 1.11 percent) and all-cause mortality (aHR, 1.08; aARD, 1.93 percent). However, after adjusting for dietary cholesterol consumption, the associations between egg consumption and incident CVD and all-cause mortality were no longer significant (aHRs, 0.99; 95 percent confidence interval, 0.93 to 1.05 [aARD, −0.47 percent] and 1.03; 95 percent confidence interval, 0.97 to 1.09 [aARD, 0.71 percent]). “These results should be considered in the development of dietary guidelines and updates,” the authors write.